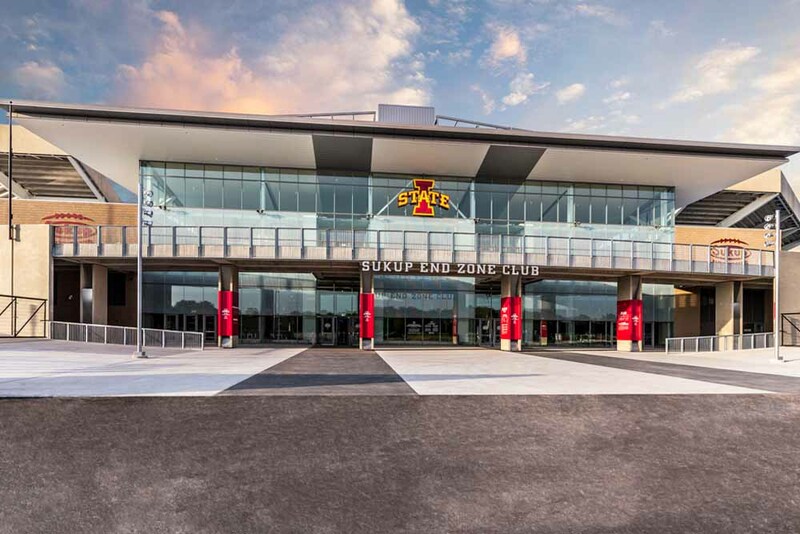 The Jack Trice Stadium South End Zone expansion project highlighted MODUS’ capabilities to streamline designs, meet tight deliverable deadlines, and coordinate effectively with all stakeholders throughout the entirety of a project. To ensure this project met its deadlines, the construction process and schedule were integrated into the design process to ensure that decisions fit within the schedule. Lead times for all equipment were considered as was the sequence of construction for all design elements. During construction, submittals, ASIs, and RFIs were all treated as high priority and received prompt consideration. MODUS had staff on site weekly – and daily during the most intense periods of construction – to ensure contractors were getting the information necessary to complete the project. 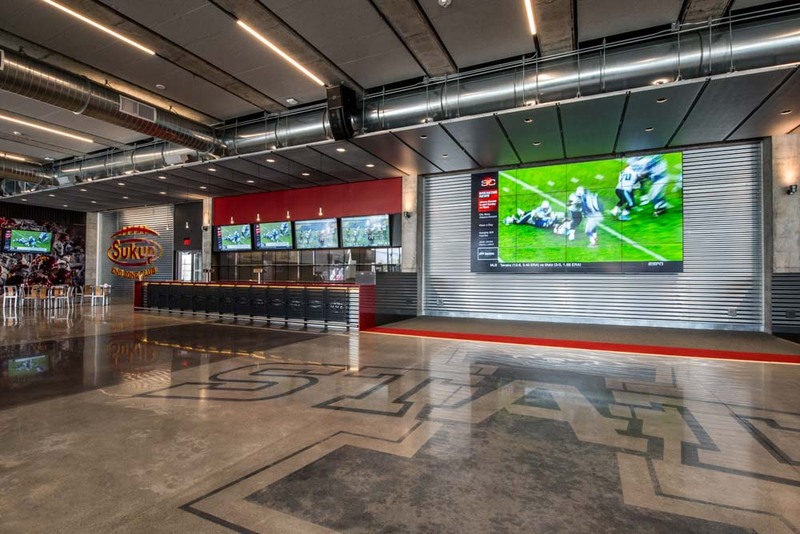 In addition to meeting the intense scheduling considerations, the design had to meet the unique demands of this facility. Life cycle analyses were completed to determine the optimal equipment for a building with such a variance in its usage. Space and budget considerations were incorporated into all decisions to ensure that the building programming & budget remained intact. 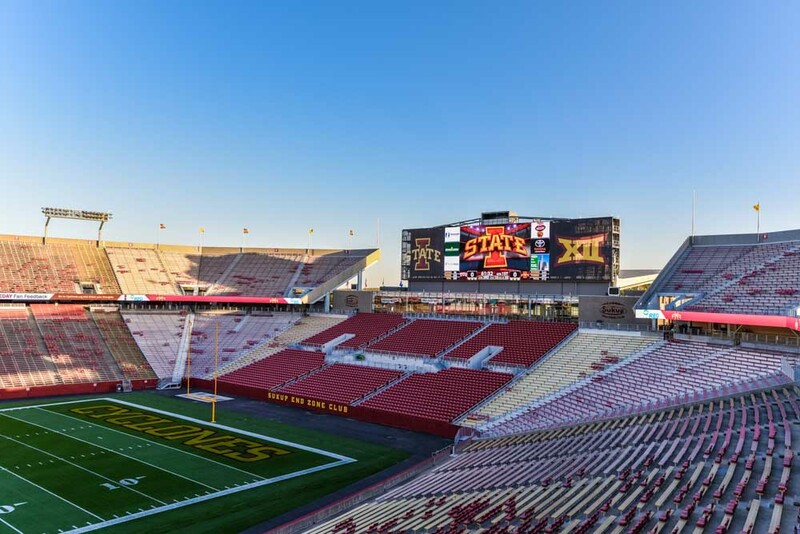 The cooling system was designed for extreme durability and flexibility, which was evident on the first game of the year (and the first true test of the system) with 90º+ temperatures and 3,000 excited fans cheering Iowa State to a victory in a fully-controlled cooling environment. Five commercial kitchens were incorporated into the design, and MODUS provided intensive coordination analysis of all kitchen equipment during construction to assist with completing the project on schedule. 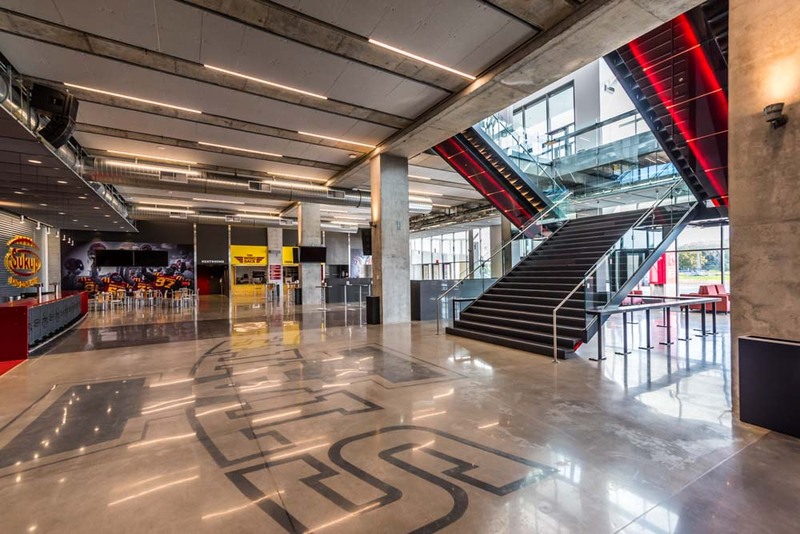 New fire suppression systems were installed throughout the facility and within a portion of the west suites. Emergency power systems were incorporated into the project to allow for year-round usage of the building and future inclusion of permanent generators if desired. 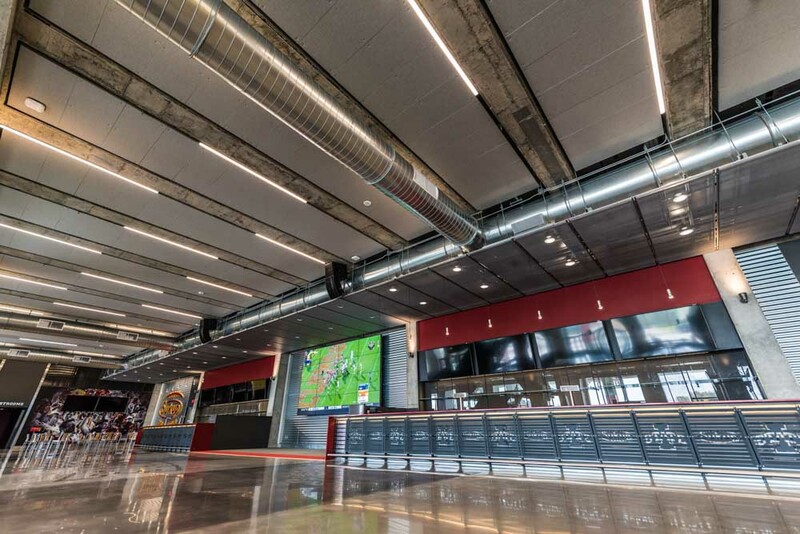 Energy efficient LED lighting was incorporated throughout the facility, and under-bowl lighting was designed (and mocked-up) to match the existing under-bowl colors. In the end, all of the efforts paid off with an amazing experience for Cyclone fans, and a project with which all team members can proudly associate.